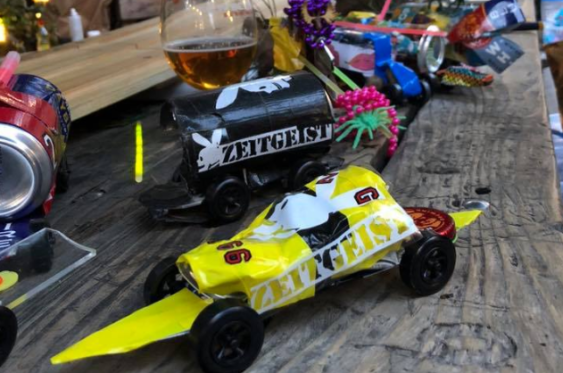 Back again this November, the epic beer can derby put on by New Belgium. Come down and get your hands dirty building the ultimate racer out of a New Belgium Fat Tire can. Crafting from 5:30 to 7 pm, materials are provided. Races start at 7 pm.